Well established as the premier sports anthology, The Best American Sports Writing brings together the finest writing on sports to appear in the past year. 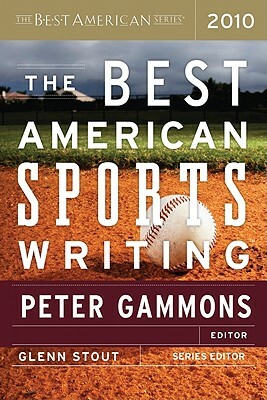 Edited by the award-winning Peter Gammons, the pieces in this volume embrace the world of sports in all its drama, humanity, and excitement. PETER GAMMONS is an analyst and writer for the MLB network and makes regular appearances on MLB Tonight. Gammons began his career at the Boston Globe and also worked for Sports Illustrated. He was a long-time analyst for ESPN and regularly contributed to Baseball Tonight, SportsCenter, and ESPN, the Magazine. He was voted National Sportswriter of the Year for 1989, 1990, and 1993, and in 2004, he was awarded the J. G. Taylor Spink Award at the Baseball Hall of Fame for outstanding baseball writing.